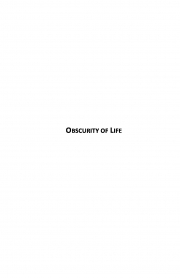 Description of "Obscurity of Life (eBook)"
Obscurity of Life is a collection of poetries and blogs written over a period of time and experiences in real life. The book talks about Love, Women and Life. The book is called Obscurity of Life, because Life starts in the darkness of the womb and as one grows it slowly spreads light in your life in the form of education and real time experiences. Passionate Lover, Aggressive fighter against injustice, a loving husband, father for one. Love kids and an amazing story teller for all age groups. An amateur writer who likes penning down poetries and Short Stories many of them published online with NDTV.com and now with Blurb. An MBA in Marketing and have been working for last 8 years in various sales and Marketing roles. He lives in Bangalore, India along with his wife and daughter. Reviews of "Obscurity of Life (eBook)"